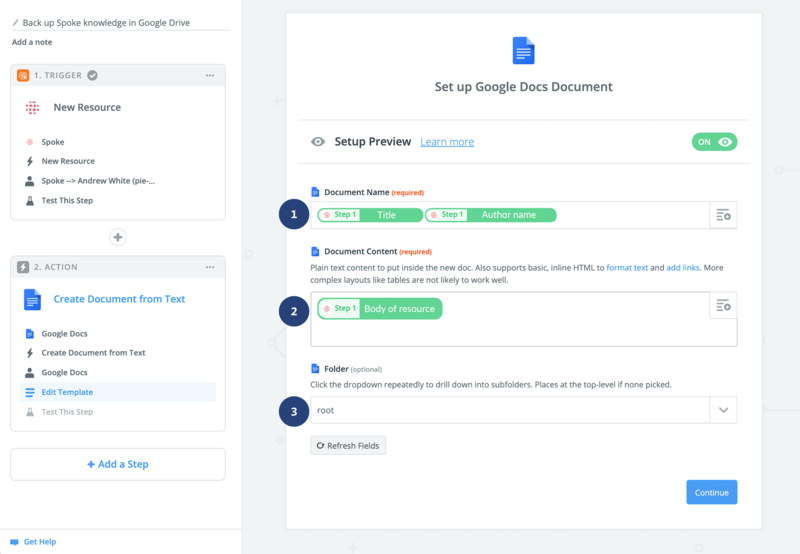 With this simple Zap and a free Zapier plan, Zapier will create a copy of each Spoke knowledge base resource and store the copy in Google Docs. This ensures that you all of of your documentation is in a safe place, in case you may need a master copy. 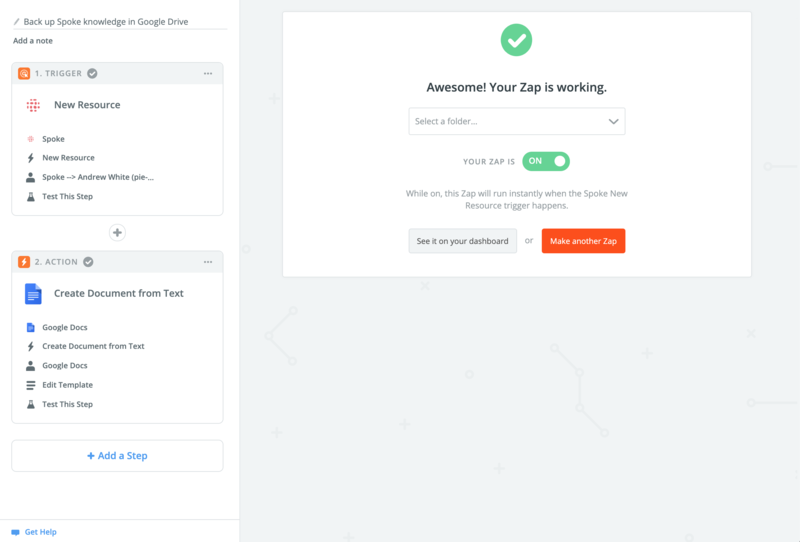 Login to Zapier and select "Make a Zap!" 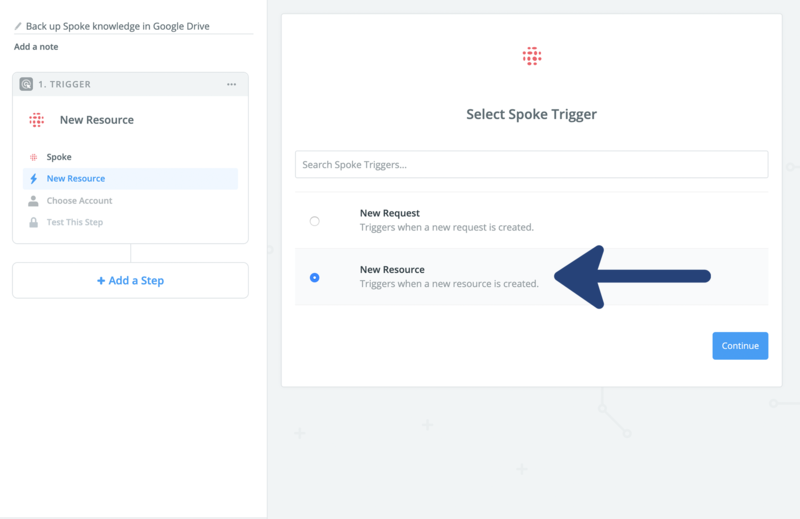 Search for Spoke and choose the trigger "New Resource." 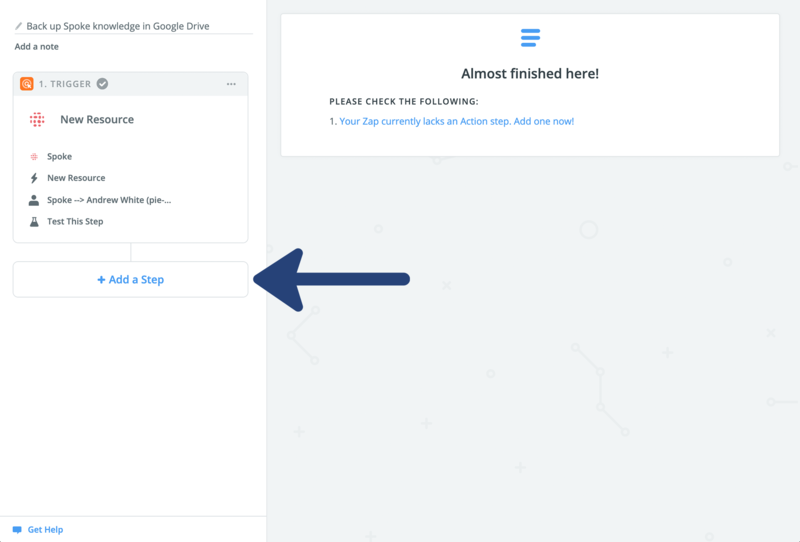 Pull in samples to use when testing your Zap, and select "Continue"
Select "+Add a step" search for Google Docs as the action. 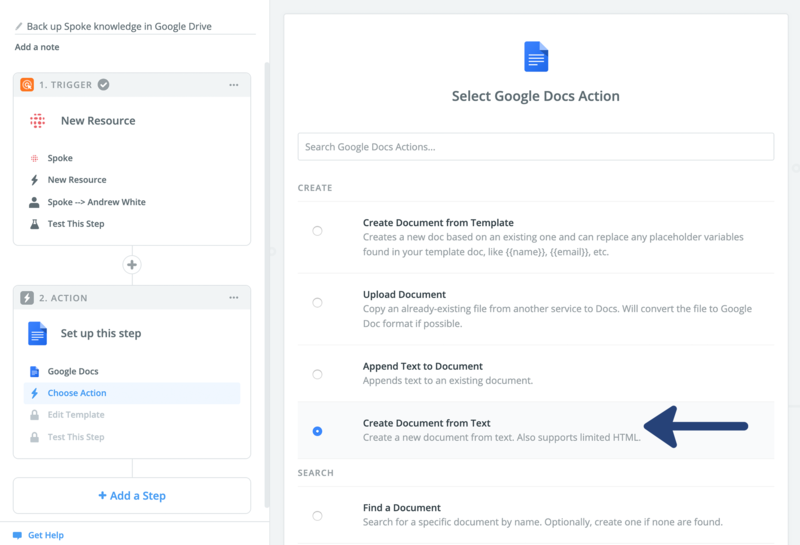 Choose "Create Document from Text." and select "Continue"
Select the "+" on the right of the field to use information from Spoke (Step 1). You can also add "Hyperlink" to the body to link your google docs back to Spoke, and help keep things organized. Once you have completed the fields, turn on your Zap, and add a Knowledge resource to Spoke to test.